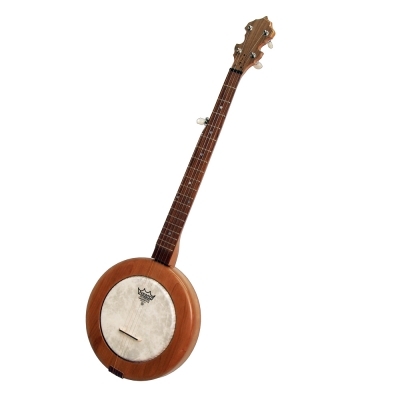 The Musicmakers Mountain Banjo is an elegant and simple banjo. It successfully combines the look and feel of a traditional home-built mountain banjo with some modern components. It uses beautiful solid cherry for the neck and body. A tropical hardwood fingerboard and figured walnut peghead veneer are also standard. We use a double action truss rod to ensure the neck is playable for the life of the instrument and planetary tuners to make tuning smooth and easy. The skin tension and neck angle are both fully adjustable. Easy to build and a joy to play!